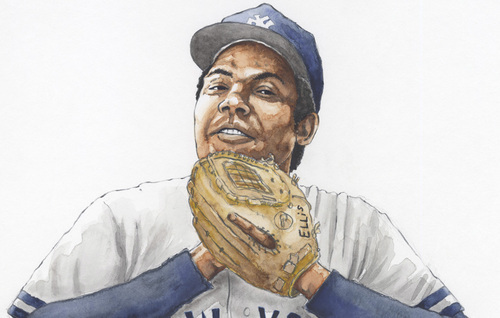 Every legend needs a myth and Dock Ellis&apos; happens to be pitching a no-hitter while he was tripping on LSD. The Pittsburgh Pirates pitcher blanked the San Diego Padres in 1970 after a few days of heavy drug and alcohol use, a bender that culminated in one of the biggest stories in baseball history. Ellis was the subject of "No No: A Dockumentary" that premiered at Sundance on Monday night, which went through the life of an athlete who was no stranger to getting "high as a Georgia pine." "I pitched every game in the major leagues under the influence of drugs," Ellis recounts in the film. "I&apos;m trying to out milligram everybody." Ellis is definitely a character, earning the ire of Major League Baseball after wearing curlers in his hair to practice and sporting gold rings and loud colored clothing to go along with his Cadillac. Known as the "Muhammad Ali of baseball," Ellis was never necessarily a dominant pitcher, but his antics and personality still loom larger than his career ERA. He was also a symbol for civil rights and equality, channeling his influence into something larger. 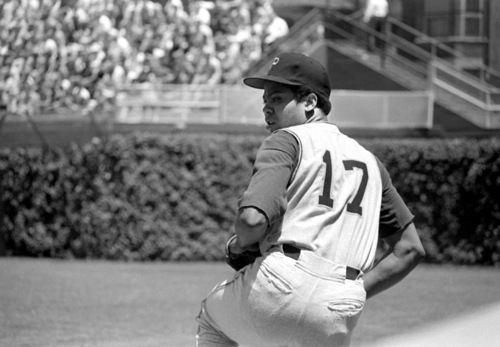 In 1971, Ellis won 19 games and was selected to the National League All-Star roster. When Oakland Athletics pitcher Vida Blue was named a starter for the American League, Ellis made history, using reverse psychology that baseball would "never start two brothers" in the All-Star game. Ellis started and it became the first instance of two African American pitchers starting against each other in the All-Star game. What followed was the most poignant moment of the film as Ellis read a personal letter from Jackie Robinson in an archived interview, breaking down after Robinson lauded his actions in the All-Star game for advancing civil rights in baseball. However, the good in Ellis was mixed with plenty of bad, as the documentary detailed his domestic abuse of his ex-wives, his targeting and plunking of Cincinnati Reds players and his insubordination with the Pirates when he was demoted as a starter to bullpen duty. 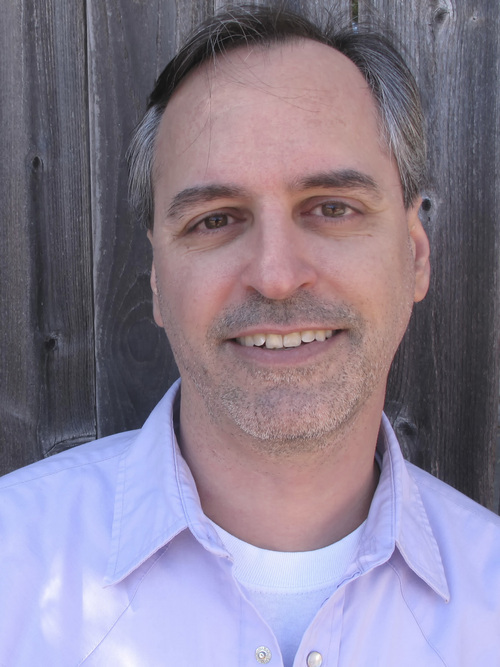 The documentary was polished, featuring a wide array of interview subjects from all facets of Dock&apos;s life, but the sheer volume of subjects was confusing and watered down the film. The interim between Ellis&apos; initial tenure with the Pirates and his retirement also missed the mark, with interviews from friends when he played with the Texas Rangers fitting in awkwardly with the rest of the sources. 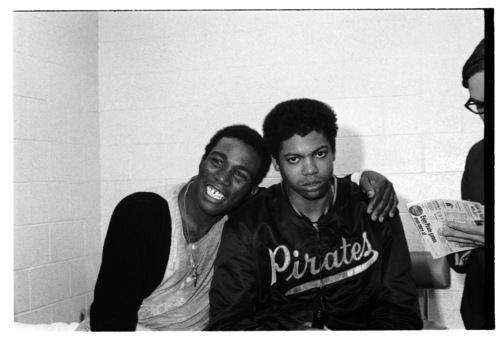 Ellis spent the latter part of his life working as a drug counselor for prisoners and at risk youth, using his struggle with substance abuse as a positive to remind those that he counseled that drugs can bring down anyone, even All-Star pitchers. Ron Howard, who directed Ellis in the 1986 film "Gung Ho," said that he wasn&apos;t proud of pitching the no-hitter on acid, that the act became "embarrassing" and "a disappointment" as Dock&apos;s life wore on. Howard&apos;s quote embodies the biggest achievement of "No No": that there wasn&apos;t a neat and tidy way to package Ellis&apos; life. Some days, he was a loud mouthed addict. Others, he was an activist for civil rights and the best teammate you could ask for. 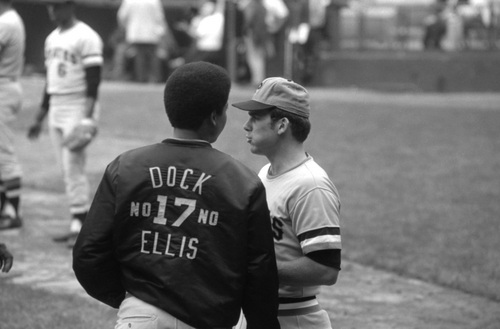 One thing is for sure: There will never be anyone quite like Dock Ellis.